At a House Judiciary Committee hearing this week, GOP lawmakers repeatedly expressed frustration with the president's end-runs around Congress on everything from non-enforcement of immigration laws to massive re-writes of the Affordable Care Act (ACA). Committee Chairman Rep. Bob Goodlatte, R-Va., says the president, "doesn't have a debate in the Oval Office about what he wants to do," adding, "he does what he wants to do, and then you no longer have representative democracy." George Washington University law professor and Obama supporter Jonathan Turley says he's troubled by the expansion of executive power under both President George W. Bush and now President Obama. "The problem of what the president is doing is that he is not simply posing a danger to the constitutional system; he is becoming the very danger the Constitution was designed to avoid: that is, the concentration of power in any single branch," he said. Turley's comments came as part of his testimony before the committee. Though experts testifying before the committee mentioned impeachment as the ultimate check on executive power, Republicans on the committee gave the idea no real consideration - given that the Senate is controlled by Democrats. They also expressed frustration that under current legal precedent it is virtually impossible for members to sue the executive branch. The experts seemed unified in expressing to the committee that the one viable solution "comes down to elections." What morons. They don't call it the do nothing Congress for nothing! So what happens when the elections are rigged??? And then what happens when Obama decides to imprison all his political opposition???? Then what Republicans? Aren't the sharpest pencils in the box are they? He's supposed to be the minority opposition to prevent end-run abuses from getting out of control like this. That's Mitch the Magnificent to you pal. He is the sun and the light. 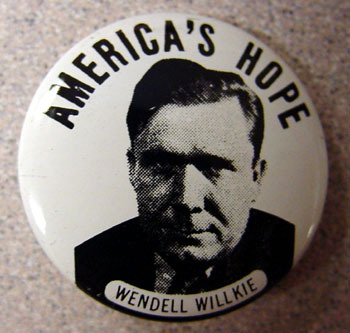 The best thing to happen to politics since Wendall Willkie. "Bipartisan criticism"...give me a break. If Bush had been pulling 1/100th of this crap the lamestreamers would have been up in arms, as in pitchfork and torches. Ha ha! Well, I haven't heard that phrase for a while. Can't say I miss hearing it. Exactly, conservgramma. What do they think they have been elected to do? What are they doing other than whinge and whine?